Lord, have mercy on us. Christ, have mercy on us. Lord, have mercy on us. 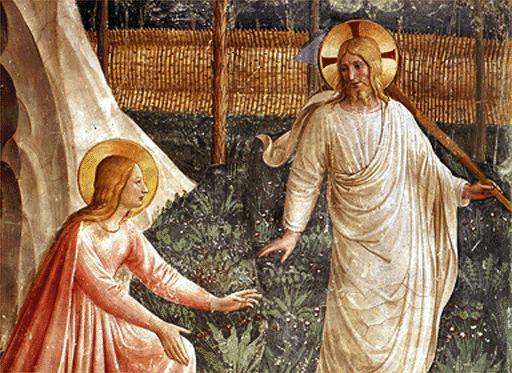 St. Mary Magdalene, Pray for us. Sister of Martha and Lazarus, Pray for us. Thou who didst enter the Pharisee's house to anoint the feet of Jesus, Pray for us. Who didst wash His feet with thy tears, Pray for us. Who didst dry them with thy hair, Pray for us. Who didst cover them with kisses, Pray for us. Who wast vindicated by Jesus before the proud Pharisee, Pray for us. Who from Jesus received the pardon of thy sins, Pray for us. Who before darkness wast restored to light, Pray for us. Mirror of penance, Pray for us. Disciple of Our Lord, Pray for us. Wounded with the love of Christ, Pray for us. Most dear to the Heart of Jesus, Pray for us. Constant woman, Pray for us. Last at the Cross of Jesus, first at His tomb, Pray for us. Thou who wast the first to see Jesus risen, Pray for us. Whose forehead was sanctified by the touch of thy risen Master, Pray for us. Apostle of apostles, Pray for us. Who didst choose the "better part," Pray for us. Who lived for many years in solitude being miraculously fed, Pray for us. Who wast visited by Angels seven times a day, Pray for us. Sweet advocate of sinners, Pray for us. Spouse of the King of Glory, Pray for us. R. That we may share thy happiness in Heaven. Let Us Pray: May the glorious merits of blessed Mary Magdalene, we beseech Thee, O Lord, make our offerings acceptable to Thee, for Thine only-begotten Son vouchsafed graciously to accept the humble service she rendered. We ask this through Him Who liveth and reigneth with Thee and the Holy Ghost, God forever and ever. Amen. May the prayers of blessed Mary Magdalene help us, O Lord, for it was in answer to them that Thou didst call her brother Lazarus, four days after death, back from the grave to life, Who livest and reignest with the Father and the Holy Ghost, Unity in Trinity, world without end. Amen. This page contains a single entry by LaMamacita published on July 22, 2009 7:51 AM. Another Pretty Tuesday Pattern was the previous entry in this blog. Today is LaMa's Feast Day, I think! is the next entry in this blog.